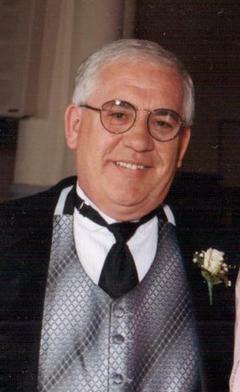 Henry (Hank) Maurer Spangler Sr., 70, Sidney, Ohio, passed away in North Carolina on Wednesday, June 6, 2018 at 11:01 PM, at the Outer Banks of North Carolina. He was born on January 15, 1948, in Sidney, Ohio, the son of C. James and Carolyn (Maurer) Spangler. Both parents preceded him in death. He married Ida Francis on December 26, 1970, and she survives in Sidney. Hank and Ida were blessed with a big family, they had 7 children: Melissa (Rich) Cole of Gahanna, OH. ; Henry (Bri) Spangler Jr. of Mount Vernon,OH; Bart (Lindsey) Spangler, of Anna; Jennifer (Teddy) Ivey Sr. of Sidney; Curtis (Kristi) Spangler Sr. of Sidney; Timothy (Courtney) Spangler of Hilliard, OH. ; and Carrie (Brandon) Symonds of Sidney. Hank also had 18 grandchildren: Erin, Ally,Macie, Grant, T.J., C.J., Tanner, Kailey, Carson, Rylee, Libby, Nash, Jimmy, Greyson, Daylin, Tyler, Sawyer, and Zander. Also surviving are sisters: Carolyn Grossman of Sidney, Margie Richards of Gulfport, Mississippi, and Sue (Don) Fair of Sidney. His brothers are: Phil (Sue) Spangler of Sidney, John (Linda) Spangler of Sidney, Don (Judy) Spangler of Wasington Courthouse OH, Darrell (Faye) Spangler of Sidney, Ed Spangler of Sidney, and Dan(Susan) Spangler of Montana. His brother, James Spangler, and two aunts, Dorotha Wolf and Pauline Spanger, are deceased. Hank granduated from Sidney High in 1966, and was retired from Gas America, where he worked as an Area Manager. He was a proud Veteran of the US Air Force, and a member of the Sidney VFW Post, as well as Holy Angels Catholic Church. Hank truly enjoyed his family, and took vacations with them to the Outer Banks for the last 15 years or so. He was a good and honest man, and will be greatly missed by his family and friends. Hank was a big Ohio State Buckeye Fan as well. He was blessed with a good sense of humor, and many of his children inherited it from him and Ida. The family will receive guests from 6-8pm at Salm-McGill and Tangeman Funeral Home on Thursday, June 14, 2018. Service will be held on Friday, June 15, at 11 am, with a visitation from 9-11 am, at Salm-McGill and Tangeman Funeral Home, with officiant Doug Wise. Interment will be in Graceland Cemetery, with Military Honors performed by the US Air Force Honor Guard, and the American Legion Post of Sidney. Memorial Contributions may be made in Hank's memory, to Wilson Hospice, The Holy Angels Food Pantry, or the Sidney VFW Post. Online condolences may expressed on the website at www.salm-mcgillandtangemanfh.com Funeral arrangements are entrusted to Salm-McGill and Tangeman Funeral Home in Sidney.